Two pieces of information have hit our emails this afternoon. 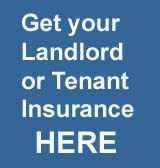 The first comes first comes from Rentguard Landlord and Tenant insurance. Apparently "Landlord insurance: short-term ‘on the up’"
Easyroommate has said that short-term lets have been on the up. The website has revealed figures showing that, during April, the equivalent of 41 per cent of the property that is now being advertised online using its UK site took the form of short-term opportunities. This was a smaller 39 per cent back in November of last year. Also in April, live-in landlord insurance holders were responsible for close to half the short-term rental opportunities the site had listed – some 44 per cent of them. Speaking about the benefits of short-term letting, the website’s Jonathan Moore said that it was a good opportunity for those who own homes to earn more money while avoiding a lengthy commitment. He added that the organisation’s numbers “show that a growing number of [their] users are switching on to the freedom short term lets provide”. Easyroommate says that the United Kingdom’s major cities are the locations where short-term renting most often happens. According to its site’s numbers, London is behind most such listings. The capital is the venue for 21 per cent of the 6,029 presently advertised short-term rental opportunities. Behind the city shortly set to see the Olympics come to town, other cites apparently offer significantly less choice to people looking to rent short-term. Some two per cent of Easyroommate’s listed short-term homes are in Leeds, two per cent in Bristol, three per cent in Birmingham and threeper cent in Manchester. Mr Moore put the fact that most short-term options are housed within major cities down “to increased numbers of people relocating for career purposes, and requiring immediate accommodation”. Shorter options meant that renters could take a taste of somewhere new and not have to commit, he said. His organisation says that, because of demand, landlord insurance holders are consistently gaining significantly greater returns from student property when held up against commercial and residential alternatives. Meanwhile HomeLet Landlord and Tenant insurance have just said "Tenants in London now paying 82% more than rest of UK". The report shows average rents in the capital rose by 0.8% in May to £1,187 per month. This increase means the difference between the cost of renting a home in Greater London and the rest of the UK reach is the largest it's ever been – according to HomeLet's data.